The Mayberry Home Journal: Have you seen my New Shoes? Have you seen my New Shoes? I've been looking a long time for a pair of these (or in this case a triad) to use in a fun idea that I've had in mind for ages. I finally found these three for a steal on a recent thrift shop run. I can't wait to finish it so I can show you the final project! P.S - It's not too late to enter my giveaway, if you haven't already! 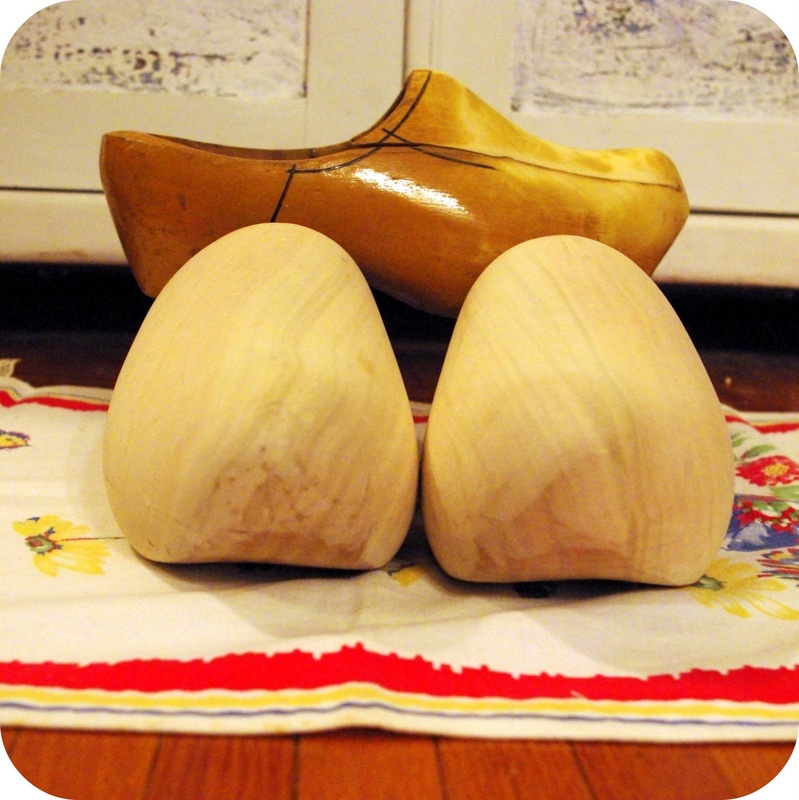 I love wooden shoes too!!! I found a pair at an estate sale once and placed them in my sewing room. Everytime I saw them they made me so happy. Then my baby decided that they were her favorite shoes and she took them over. I need to repaint the bottoms since she wears them quite a bit. They actually look alot cute on her little feet than they did in my sewing room. Thanks for sharing. You are a tease! :) I can't wait to see the finished product! I'm a gal who's roots are in the midwest usa, but now live with my own personal Mr. Darcy and four children on a windy patch of earth in Ontario, nestled between two great lakes. When not up to pure nonsense, I enjoy illustrating, cooking, knitting, preserving, gardening, working on our just-budding farm, homeschooling, consuming mass quantities of iced tea, tree climbing, making mud pies with my girls and of course, watching my huckleberry boys blow stuff up in the back yard. Cook Along, Yarn Along and a Giveaway!